Gardening is a great way to relax, and many people that try it find a lifelong hobby. However, when you’re new to gardening it’s easy to make simple mistakes that can harm your plants. 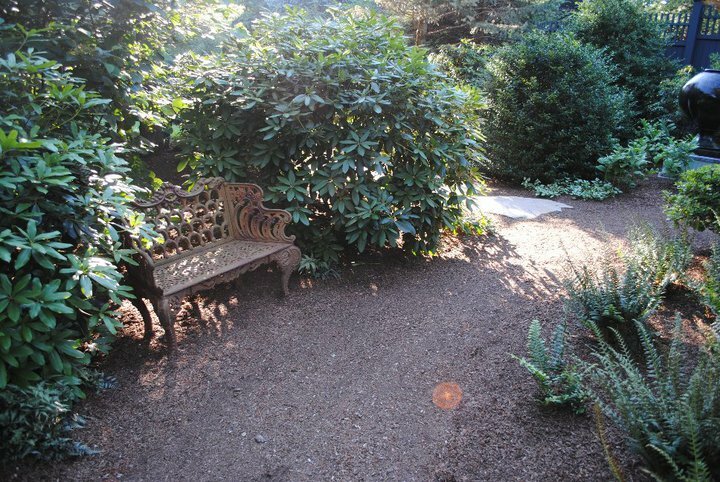 Use this guide to avoid big mistakes that are commonly made by beginning gardeners. Using the same type of soil for everything in your garden area can seem simple, and after all, soil is just soil, right? The short answer is no! When buying soil, especially if you’re going to use it for indoor plants, make sure you ask a garden professional for the right kind. When planting young trees in really windy areas, staking is a good idea to keep them from toppling to the ground. However, if you’re not in a windy area, allowing the trees to sway actually helps roots grow deeper, making a stronger tree. Not all trees need mulch rings. In fact, all they do for many varieties of trees is extend the drip line, making them need more water. Visit us at Marvin Gardens for beautiful garden accessories to make your healthy garden even more beautiful. Deer are beautiful creatures in the wild, walking with graceful steps between the trees. In your garden, however, their beauty and grace is overshadowed by the frustration of finding your carefully cultivated plants eaten and destroyed. Planting certain plants can deter deer as they don’t like the taste of plants with fuzzy or feathery leaves. Smells such as garlic have been known to repel deer, try planting garlic around the borders of your garden beds or use garlic clips. Fencing can keep deer out. Deer can jump really high, however, so the fencing will need to be at least 7 feet tall. Of course, you can still enjoy the beauty of deer in your yard without risking your plants by decorating with elegant deer statues. Our carefully crafted wood deer sculptures are a far cry from the plastic imitation deer you see in so many yards, and they will add a delightful element to your garden design. Visit us at Marvin Gardens to see the deer and our other garden accessories. We enjoy helping you turn both the inside and outside of your home into a place you’ll love to spend more time enjoying! A Centennial Celebration of the National Cherry Blossom Festival! One of the hallmarks of the spring season that we look forward to each year is the blooming of the cherry blossom tree. 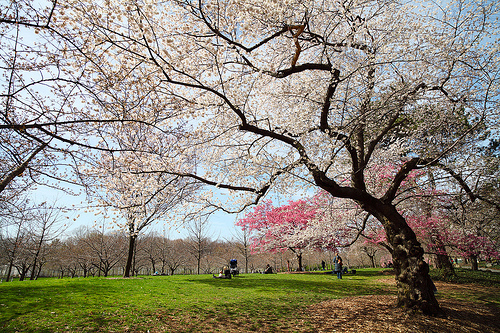 You might recall that the National Cherry Blossom Festival is held each year to celebrate these beautiful trees and the history of their place here in the U.S.
Cherry Blossom Trees, like these at Brooklyn Botanical Gardens, have long been a sign of the springtime. Almost a century ago, the mayor of Tokyo presented Washington, DC with the gift of 3,000 cherry trees to signify the friendship held between Japan and the United States. Since then, the nation has celebrated the occasion with “the nation’s greatest springtime celebration,” the National Cherry Blossom Festival, which is currently underway. In honor of this year’s Festival’s Centennial Celebration, a vote is even being held for the nation to decide America’s Favorite Cherry Tree. Americans are asked to choose the Autumn Flowering Cherry, the Yoshino Cherry, or the Kwansan Cherry as their favorite. Then, at the conclusion of the Festival and on Arbor Day, April 27th, the winning tree will be announced. What do you think about the cherry trees? Share your thoughts with us below! 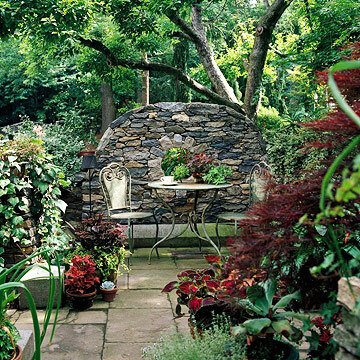 In the harsh winters of the northeast, the challenge of creating a year round garden seems out of the question. But imagine designing your own lush paradise, full of the unique and exquisite plants that you admire. Fortunately, there are ways to keep this environment accessible all the time, with a clever greenhouse. For decades, master architects and garden enthusiasts have designed greenhouses that ensure a thriving garden throughout the year. 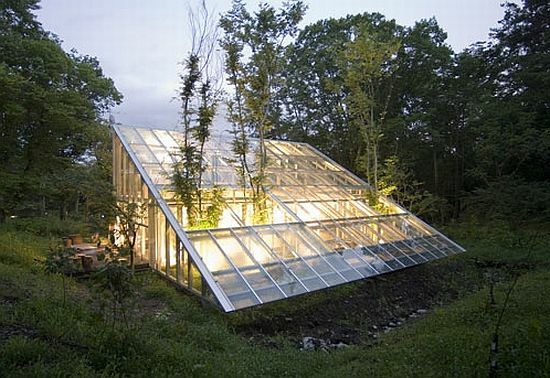 Take a look at some of these inspiring greenhouses from all over the world. 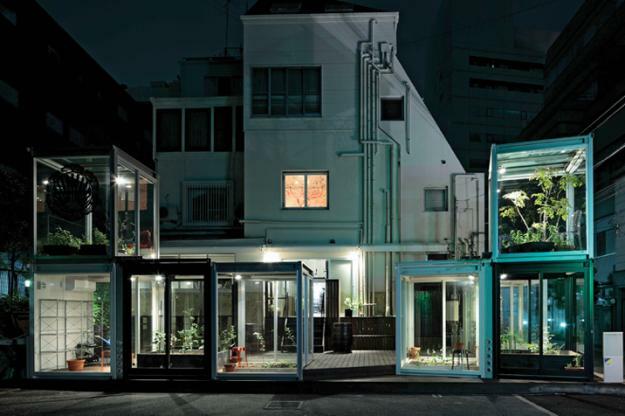 Built by ON Design Partners, this Japanese greenhouse provides access to lively plants and fresh vegetables (used for local restaurants) in the middle of a busy city. 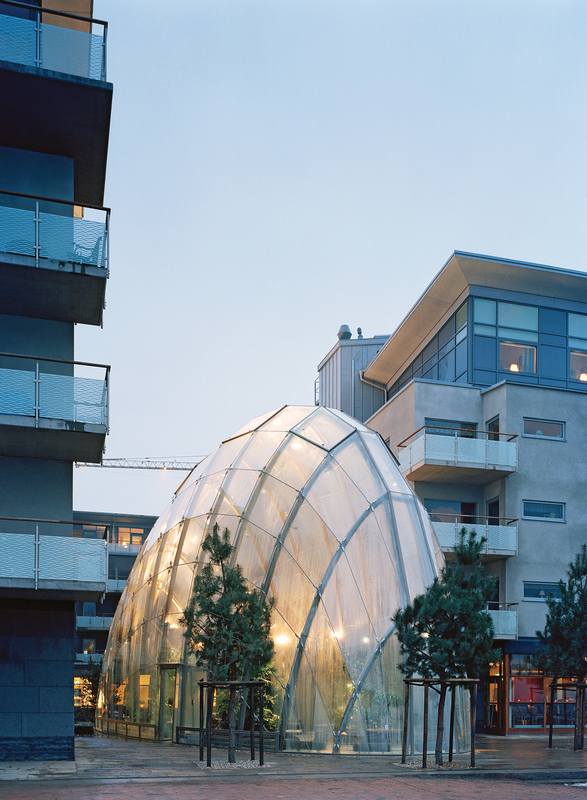 This contemporary greenhouse, designed by Gora Art & Landscape is situated in a Sweden courtyard. Some additional stunning greenhouse designs. Designing a greenhouse is something that can be done in virtually any space. 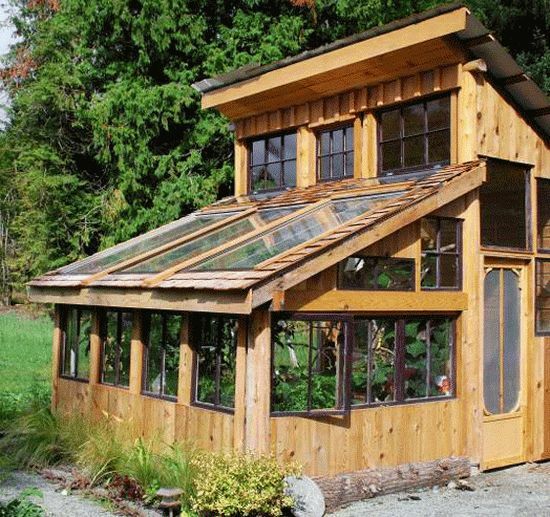 Even with just a few square feet and sunlight, a remarkable greenhouse can be created to keep you connected with nature all year round. 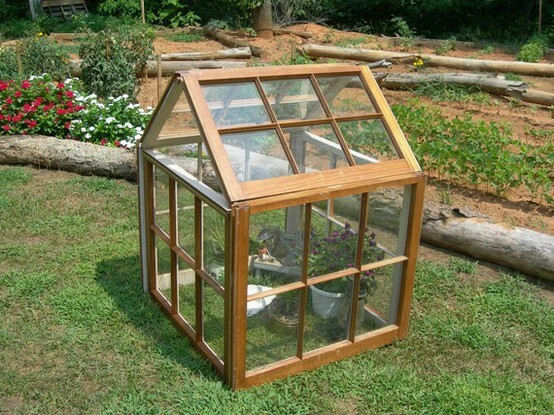 Next, we’ll share more with you about how to create your very own greenhouse. What do you think of these greenhouses? Every now and then, we come across the work of designers and artists that is so impressive that we are immediately compelled to share it with you, our Marvin Gardens readers; such is the work from Pearl Fryar. After moving with his wife to South Carolina during the 1980s, Pearl Fryar set out to create a garden worthy of the local garden club’s Yard of the Month award. His motivation came from the community, as they expected that the African American couple would not keep up their yard properly. At the time, he knew nothing of gardening yet fashioned his three acre garden from salvaged plants from a local garden center’s throwaways. 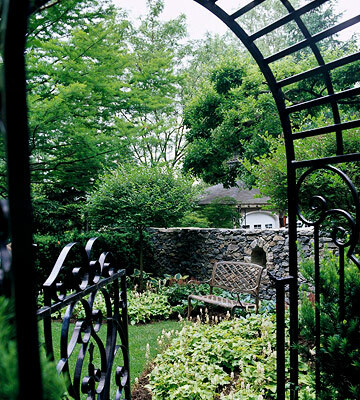 In doing so, he created a garden full of distinctive shapes and garden artwork. 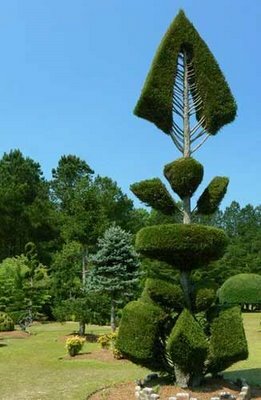 Pearl Fryar went on to create incredible topiary designs though he had no formal training in horticulture or art. His work can now be seen anywhere. 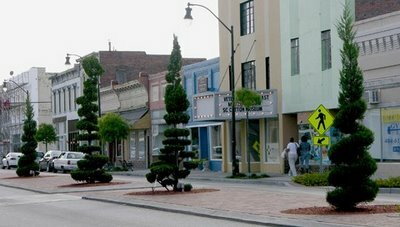 From local colleges and his hometown, to the Phillip Simmons Garden in Charleston and the South Carolina State Museum, his topiaries are certainly captivating. What do you think of these topiary designs? Share your thoughts with us in the comment section! ‘Tis the Season for Conservatory Style Decorating! 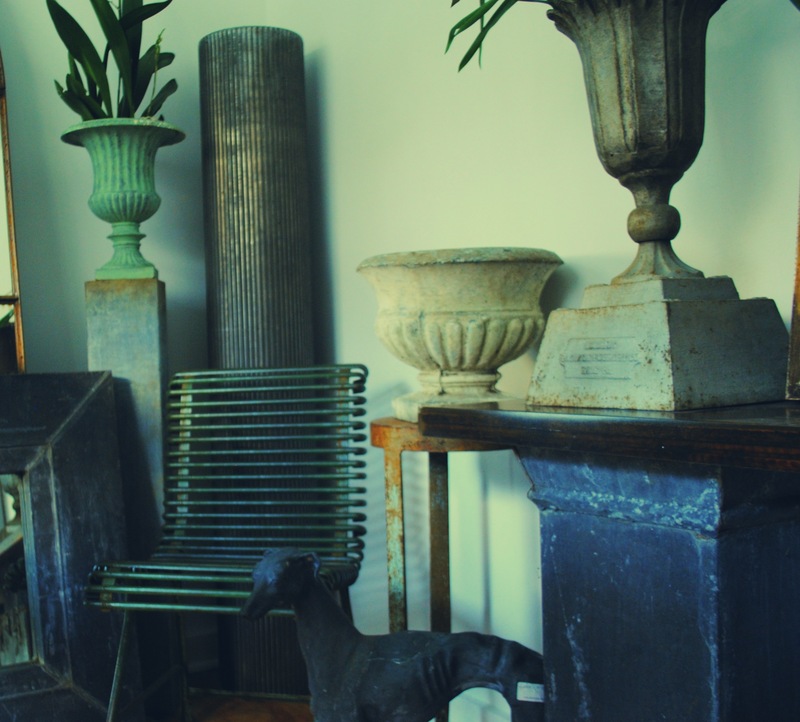 Bringing the outdoors inside is easy when you see all the beautiful pieces we carry. We can’t think of a better time than now to share with you our passion for conservatory style decorating. Have you heard of this method of design? If not, you might be surprised to learn that the style is much more common than you think. In fact, you have probably used the style in your home’s design without even knowing it! Conservatory style decorating involves bringing the indoors out and the outdoors inside. 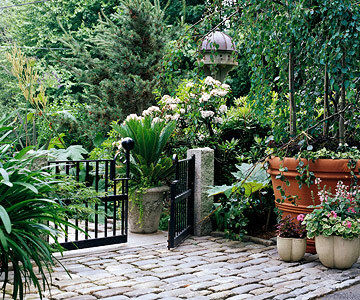 It’s a way to incorporate your glamorous garden decorating into your living, kitchen, and family space designs. During this time of the year, when nature offers such lovely natural décor, it’s a perfect time to fine tune your home with conservatory style. At Marvin Gardens are particularly fond of this style because of the timeless look that it offers. Though trendy patterns and pieces may be impressive décor at the moment, beautiful natural elements from the outdoors will always create a bold look. 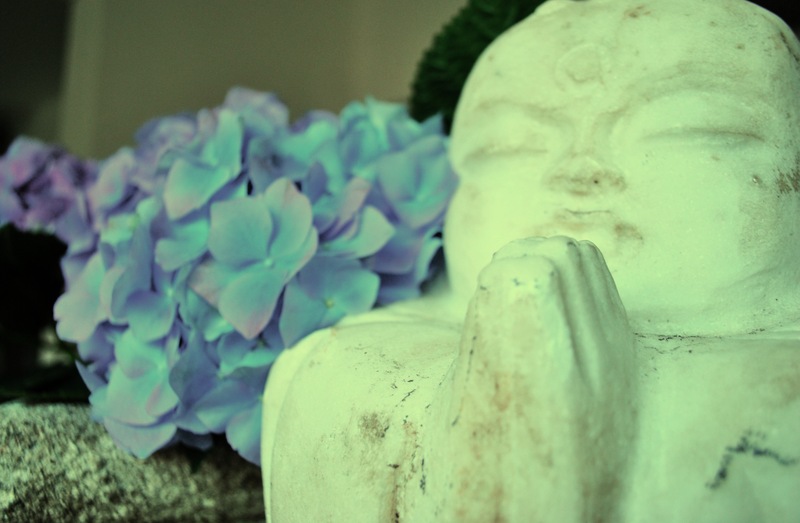 Here at Marvin Gardens, we believe that your home is much more than a place to live. Rather, your home and surroundings are a distinct indication of your style and the place for your personal expression to abound. The space around you should not only be a representation of yourself, but through the use of decorative elements, we can break through those old patterns and emphasize your own uniqueness and personality. Essentially, the ambiance in each home is formed by artistic impressions generated through creative expression. Through incorporating unique pieces into your home that steer away from trendy fashions, your own individual style is formed. Take a look at this incredible architectural orb. The piece not only makes a statement in any garden, but it also certainly brings originality and depth to the area. To learn more about bringing a distinctive look into your home, stay up to date with latest news from Marvin Gardens on Facebook and check our blog regularly.